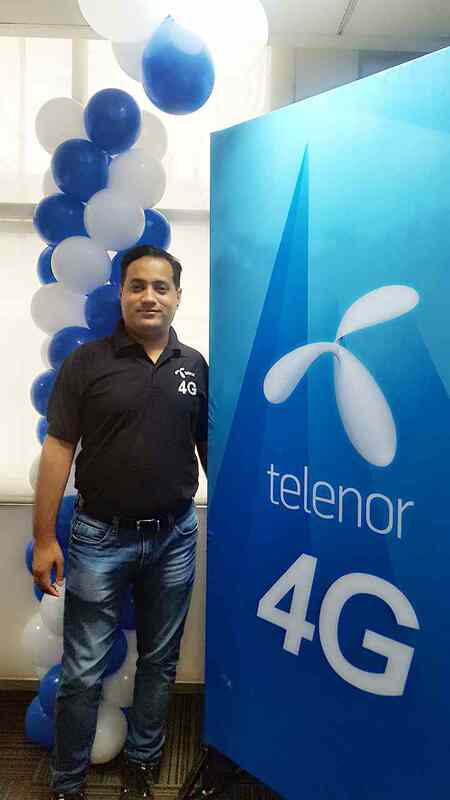 As part of its network modernization plan, Telenor India today announced the launch of high-speed 4G affordable services for its customers in Meerut. Subscribers will now experience high speed wireless mobile internet on the company’s advance network architecture and get on to the digital super highway to cater to their data needs. Meerut is the third city in UP West region to go live with 4G services. Prior to Meerut, the company launched its 4G services in Agra and Dehradun in the month of July and August respectively and got encouraging response witnessing 100 % growth in subscribers’ month on month. With the brand promise of “Sabse Sasta Sabke Liye – Full Paisa Vasool”, Telenor is offering 4G special tariff vouchers (STV) which offers 4G services at 2G rates ranging at price points of Rs. 67, Rs. 97 and Rs. 127. STV 67 offers 500 MB 4G data with the validity of 28 days, STV 97 offers 1 GB 4G data and STV 127 offers 1.5 GB 4G data for 28 days. Customers can avail this offer by walking into any of the fully functional Telenor branded stores and retail outlets in Meerut. The launch in Meerut follows the successful launch of Telenor’s 4G services across its 6 circles in Varanasi, Vizag, Amravati, Agra, Anand, Lucknow, Ranchi, Vijayawada, Tenali, Eluru, Bhimavaram, Dhanbad, Dehradun, Guntur, Rajahmundry, Warangal and Hajipur. With this Telenor has moved a step closer to its ambition of Internet for All and becoming the preferred partner in the digital life of its customers. Telenor announced the modernization of its entire network in UP-West in 2015. As of now 74% of its sites have been modernized. To make its network future ready, Telenor has deployed latest Technology Equipment that provides superior voice and data experience. At the sites that have been migrated to the new technology, Telenor has reduced congestion and increased data throughput resulting in an improved network experience for its customers. This is one of the biggest network modernization deal made by Telenor Group across its business units. Telenor (India) Communications is a mobile telecom operator offering most affordable and value for money prepaid voice and data services in India. It is a wholly owned company of the Norway-based Telenor Group. Telenor India has commercial operations in UP (West), UP (East), Bihar (including Jharkhand), Andhra Pradesh (including Telangana), Maharashtra (including Goa) and Gujarat. In the areas where it operates, Telenor is the fourth largest operator both in revenue and customer market share. Telenor has positioned itself as a ‘full paisa vasool’ operator and has over 53 million subscriptions from the six circles.